This Magnetic Car Air Vent Phone Stand securely holds any size most of Android, iOS, Windows Smartphone also while in a protective case. 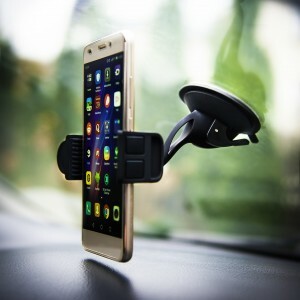 EASY TO USE: To install this Air Ventilation Phone Mount just place the magnet metal plate in your phone case between the cover and the phone, or stick directly on your phone or rugged case. Insert phone holder in car air vent. Adjust the angle of 360 degree regulative magnetic plate. ADJUSTABLE & SAFE: Innovative ball head construction allows you to quickly adjust to the best angle in 360 degrees, make sure that you can keep your eyes on the road instead of fumbling around with your phone. Cradle-less magnetic mounting system allows you to dock and remove your device with one hand. 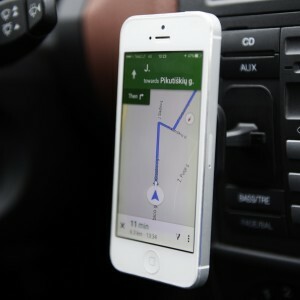 RELIABLE: made from high quality PC+ABS material this Air Vent Car Holder is secure . Perfectly hold your device (even with a phone case) to the phone mount holder without any slippage. 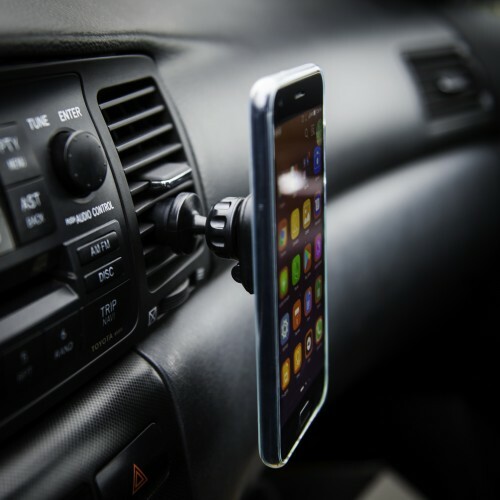 The magnet of this car holder won't affect battery or phone signal. 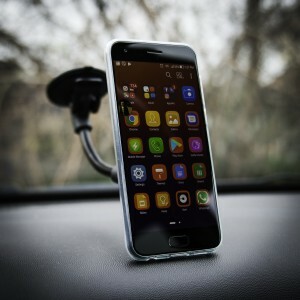 Great little mount for practically any phone on dashboard. Simplicity itself.